An Australian Company with over 10,000 satisfied customers to date! Now is the time to install and start saving money! We are currently looking for Display Home customers in all suburbs – subsidies available! 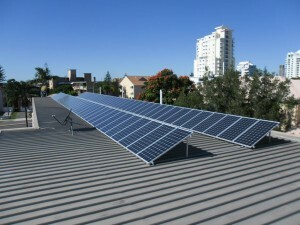 With over 10 years experience in Solar we have hand selected only the best products for your home. Stop renting your electricity and start making your own! Solar Energy provides a clean and green environment for our children. Contact us today to arrange an in-home consultation with one of our solar experts! Sunsource Energy has the technical knowledge, years of experience, and the capacity to undertake small to large scale solar PV projects. Due to substantially reduced costs in commercial scale PV systems the return on investment has become very attractive with reduced payback periods.Sunsource Energy is proudly partnered with Phono Solar, ABB Aurora inverters both market leading products. Phono Solar is a leading brand in the renewable energy industry, producing high quality solar products since 2004. The Phono Solar brand has become synonymous with high-performing, top quality photovoltaic panels (solar PV panels) and specialises in PV technology innovation, application and system development. Phono Solar panels have been installed in countries all over the world, including the USA, Germany, UK, Switzerland, South Korea, Israel, Czech Republic, Bulgaria, Australia, New Zealand etc. Locally, Sunsource Energy installs Phono Solar panels in Brisbane, Gold Coast, Ipswich and Sydney, Parramatta, Newcastle, Cains and all Major regional areas in NSW and QLD. Driven by both innovations in technology and an effective brand strategy, Phono Solar continuously extends the industry chain downstream and has realised moderate horizontal expansion. Our approach provides a single point of contact for all aspects of the development and implementation process. This comprehensive solution spans all four phases of a typical commercial scale project. We will conduct a detailed site assessment and feasibility study to determine which PV system is best for your business. The system is designed with inverter design software to maximise performance and efficiency. Our management team and experienced in house installers will address any construction challenges and will ensure quality results and safety. We offer and recommend custom maintenance checks and monitoring programs to ensure your system always performs at peak efficiency to maximise investment returns. Need help with your solar?